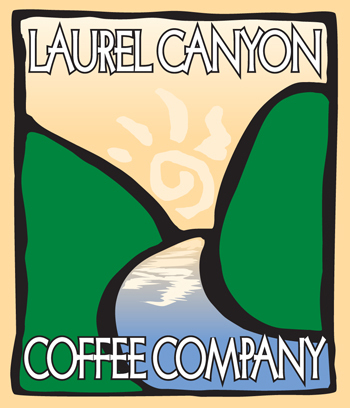 Laurel Foodsystems also provides complete office coffee service in the Pittsburgh, Pennsylvania and Wheeling, West Viginia market areas. Our clients know their breakrooms will be stocked consistently, serviced reliably, and enjoy prompt delivery of products. We service our clients with the highest levels of technology, communication, professionalism, accountability, and maintenance in the industry. Call today! Our friendly customer service representatives will start you on your way to enjoying the very best in office coffee and breakroom supplies, with personalized, attentive service. Gourmet coffees at affordable prices. Premium quality, specialty and flavored coffees roasted by industry leaders like Green Mountain Coffee Roasters, Starbucks, Ellis, Eight O'Clock Coffee, Seattle's Best and more. High quality teas from Bigelow, Twinings, Celestial Seasonings, Tazo, and Lipton are readily available. Reliable, correct capacity, name brand equipment. Commercial coffee makers for every need and décor. Office coffee machines include high volume brewing systems, single serve automatic and espresso machines. For your refreshment area — filtered water systems, microwave ovens, refrigerators, icemakers, storage cabinets, condiment organizers, thermal airpots and portable insulated dispensers. Large selection of teas, cocoas, creamers, snacks, paper and plastic ware, juices, soft drinks, cleaning supplies and far more. Exceptional service — our employees place service to our customers as their top priority. Our customer service representatives provide prompt, efficient and personalized service. Fast, efficient and dependable service — Laurel Foodsystems is one of Pittsburgh's largest coffee and vending distributors. In business since 1974, we serve thousands of customers with excellent products and service. Honest and sincere business relationship with our clients. Laurel's office coffee professionals are prompt and thorough. A Service Plus Checklist ensures breakrooms are clean, serviced, stocked and convenient. Quality products, phenomenal service and attention to detail add up to make a big difference for your company; motivated associates, improved productivity and satisfied customers. Delivery will be on a two-week schedule. The product will be taken to each station. If product is needed between deliveries, it will be delivered within a few hours time. If you call us in the morning, you will have it the same day. If you call us late in the afternoon, you will have the product the following morning. Start the day off right with a completely customized office coffee menu. From nationally recognized brands to your local coffee roaster, Laurel Foodsystems delivers the brands you want and the flavors you crave, delivered with the convenience you expect.